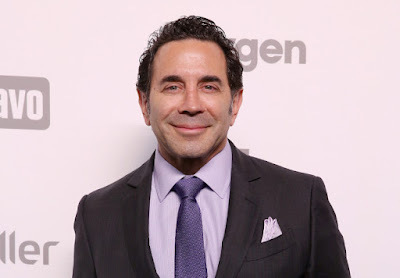 iRealHousewives | The 411 On American + International Real Housewives: Paul Nassif Hopes To Find Love And Is Open For Marriage Again After Adrienne Maloof Divorce! Paul Nassif Hopes To Find Love And Is Open For Marriage Again After Adrienne Maloof Divorce! Dr. Paul Nassif has revealed he's ready to find love and is open to the prospect of getting married again. The former Real Housewives of Beverly Hills husband and star of E! 's Boched. "I could find my next wife out here," the 55-year-old plastic surgeon told The Daily Telegraph on Wednesday while promoting his Nassif MD skin care line with the TV Shopping Network in Australia. "I gotta see this city and take it hard." "If I met the right person, I'd get married again," he said. Nassif's search for love comes fives years after his public split from former Real Housewives of Beverly Hills star Adrienne Maloof. Details of their divorce settlement were not made public, however they expressed relief after reaching an agreement, reports The Daily Mail. "Divorce is a painful process under any circumstance and certainly more painful under the constant glare of the media spotlight," they told PEOPLE in a statement back in 2012. "We want the best for each other and we're confident we can help each other make a continuing positive impact with our children. We're happy to be moving forward with our lives in a positive way, not only individually but as co-parents." The former couple continues to amicably co-parent their three children, 14-year-old Gavin and 11-year-old twins, Christian and Collin.